Russian President Vladimir Putin Says He Wishes The Soviet Union Had Not Collapsed. Many Russians Agree. Putin Says He Wishes The Soviet Union Had Not Collapsed. Many Russians Agree. 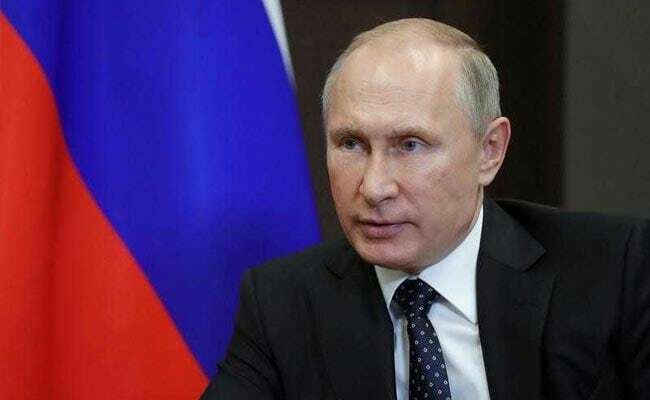 Russian President Vladimir Putin's comments on the 1991 collapse of the USSR - which bound Russia and many of its neighbors, while exerting influence in Eastern Europe and abroad for almost seven decades - came at a question-and-answer forum held Friday in Kaliningrad. Taking questions from the audience, the Russian leader was asked what event in his nation's history he would have liked to change. A day after unveiling dramatic new weapons - including a nuclear-powered cruise missile - that sparked talk of a return to Cold War tensions, Russian President Vladimir Putin suggested he'd reverse the collapse of the Soviet Union if he could. Putin's comments on the 1991 collapse of the USSR - which bound Russia and many of its neighbors, while exerting influence in Eastern Europe and abroad for almost seven decades - came at a question-and-answer forum held Friday in Kaliningrad. Taking questions from the audience, the Russian leader was asked what event in his nation's history he would have liked to change. "The collapse of the Soviet Union," Putin responded, according to the Russian news agency Tass. Though a fringe idea in the West, regret about the collapse of the Soviet Union is not unusual in Russia - in fact, it is widespread. And with Russian elections just a week away, its a factor still worth watching. The polling agency Levada Center has been asking Russians about their views on the collapse of the Soviet Union since 1992. The most recent numbers, from a survey conducted in November 2017, show that 58 percent of Russians regret the USSR's collapse, while just over a quarter do not. Despite all the changes in Russia over the past quarter century, this public regret has proved remarkably consistent. Only once since polling began has the number of Russians saying they had regrets fallen below a majority - in December 2012, when 49 percent said they had regrets, though only 35 percent said they did not. The pro-Soviet sentiment peaked in 2000, just as Putin was just coming to power, with three-quarters of the country said they regretted the collapse of the USSR. This sentiment is understandable when events are viewed from the perspective of the average Russian. Though the end of the Soviet Union heralded the end of the Cold War tensions with the United States and its allies, for many it was the start of years of political and economic uncertainty, as well as a diminished place for the Russian people on the world stage. Part of the regret may be from the chaotic manner in which the Soviet Union came to an end. The last Soviet leader, Mikhail Gorbachev, said in 2016 that the end of the union was due to "treachery." Putin, formerly a KGB officer stationed in East Germany, called the breakdown of the USSR as the "greatest geopolitical catastrophe of the century" in 2005, pointing to how many Russian citizens wound up outside of Russian territory due to the collapse. But the sentiment appears broader than that: The Levada Center's polling found that a majority of Russians felt bitterness over the end of the unified economic system, while a smaller group said that they felt Russia was no longer a superpower. Putin has been been leader of Russia in some form or another since 2000, making him the longest serving Kremlin leader since Joseph Stalin. This week, Putin used his annual address to announce a series of new weapon technologies that he dubbed "invincible," including nuclear-powered missiles that would be difficult for conventional missile defense systems to combat. Thursday's speech marked a new low in U.S.-Russia relations in the post-Cold War period, experts argue. Some analysts say that while Russia already had weapons that could overwhelm U.S. missile defenses if needed, the public announcement of these weapons was likely designed to rally a domestic base ahead of the March 18 election. Putin is easily expected to win the election, with a poll conducted last week giving him almost 70 percent - almost ten times the share of the vote of his nearest rival, a candidate from the Communist Party. Despite his regret about the collapse of the Soviet Union, Putin told the audience on Friday he wouldn't want to live in any other period than the current. Asked about his dreams for the future, the Russian president said: "I want our country to be successful, powerful, stable, balanced and looking ahead."